We all want the perfect home. Each room has its trials and tribulations when it comes to decorating. The bathroom is one of the most problematic rooms to rejuvenate and is one that often gets forgotten. If you want your bathroom to be a bigger part of your home, you’ve come to the right place. The bathroom can be a hard room to get right, but it’s well worth the effort you put in. There’s more to consider with a bathroom, because of damp. Decorate using materials that will be able to withstand heat and damp without trouble. Here are a few things to consider in your initial planning. Think about using materials that will withstand damp conditions when you're decorating the walls. Wallpaper would not be a good choice for a room that’s going to be wet a lot of the time. A waterproof paint could be a good choice, as could ceramic tiles on the walls. Think, also, of the marks damp could cause. These would show up on painted walls, but won’t appear on tiles. Think also of how easy your choice will be to clean. You want to be able to wipe the walls down if they get mucky! Same as the walls, you want to aim for a durable material when it comes to the floors of your bathroom. Carpets are not a good choice here. Wet feet are going to be standing all over and leaving big patches of damp. Wooden or tiled floors are the best bet. They’re easy to clean, and the damp won’t have any effect on them. A bathroom is a private place. You don’t want the neighbors being able to see you in the shower! 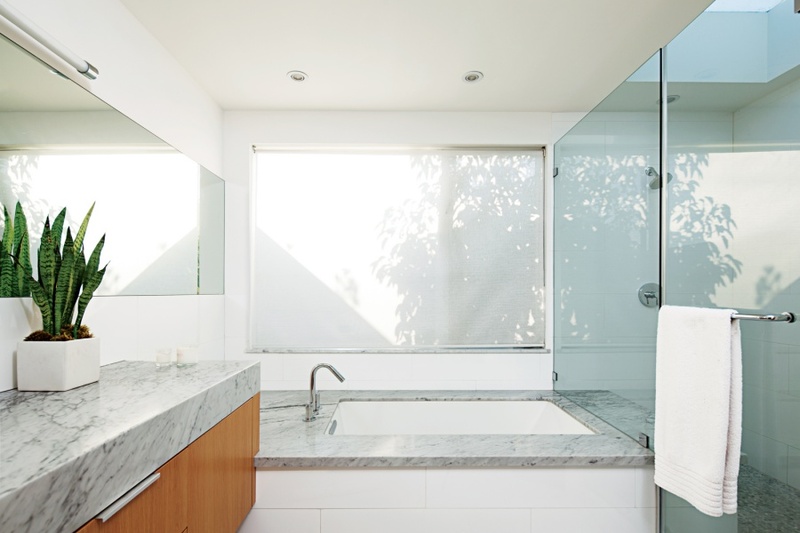 Most bathroom windows come clouded already, but even then, people will see your outline. If you’re worried about people peeking in, it might be worth considering curtains or blinds. Again, consider the damp. Curtains won’t react well to the environment, whereas blinds would work a lot better. You could even look at plastic blinds that can be easily wiped down. Take some time to consider the light in your bathroom. If you like relaxing in a long bath, you might want to go for a gentle orange glow. A harsh, bright light is not going to help with that relaxing atmosphere. You don’t want a headache every time you turn the light on. When it comes to looking in the mirror, you’re going to need something that will show all the blemishes. Don’t leave the house with a mark on your face that your bathroom light didn’t help you see. Why not consider a brighter light just above the mirror. That way, you can inspect yourself when you need to. Taking these simple points into consideration will make for a great bathroom. Don’t close that door and hide your bathroom away. Get it looking beautiful and display it proudly, alongside the rest of your home!